Specialty Doors and Automation offers a complete line of sound, radiation and blast doors. They range from small walk-through doors that are fitted with automatic seals and internal insulation, to elephant doors used in refineries, testing labs and aerospace. These doors can suppress or block noise from machinery, background traffic or any other undesirable sounds. Security and weather resistant features can be incorporated. Specialty Doors and Automation also has them available as overhead, swinging, horizontal sliding or any special application needed. Blast doors can be both large and small. Blast doors are extremely large doors and often referred to £elephant doors. Typically used in refineries, testing labs and aerospace, they are often commonly used with large commercial entities as well. With over 30 years experience, the team at Specialty Doors of CA can help repair or install your El Segundo Blast Door and get everything set up properly. 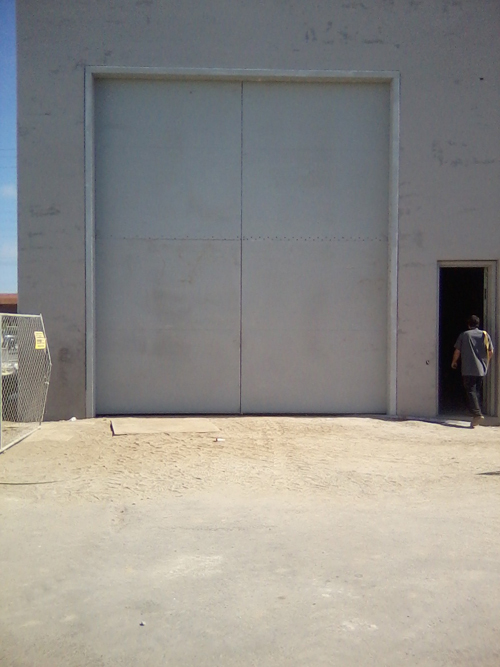 We sell, install, repair and service all kinds of commercial doors, from roll-ups for delivery bays to storefront doors. We can even create custom door designs to meet the needs of our customers. In fact, we'll go so far as to cut out the wall where you need a door to be! Call us today for your El Segundo Blast Door Repair and see why Specialty Doors of CA is the top door repair and installation company in El Segundo.